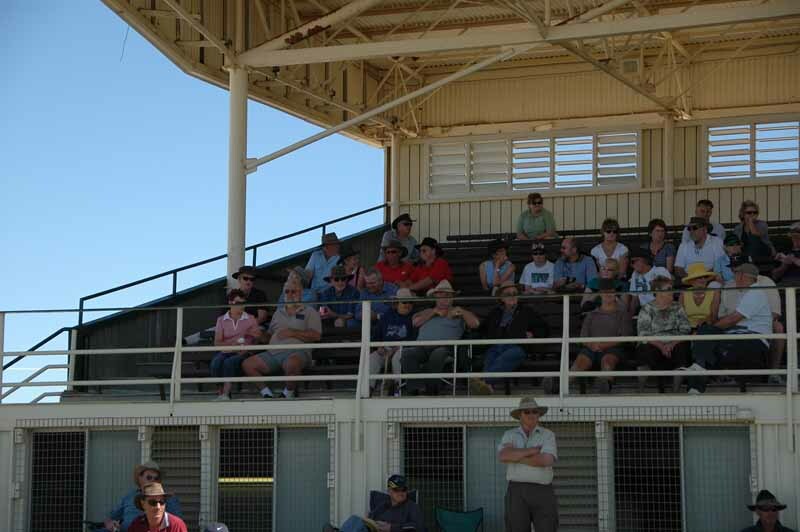 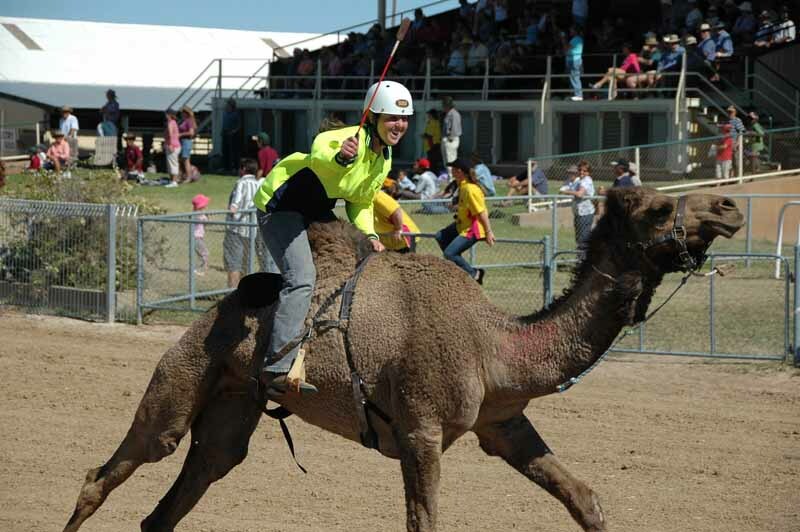 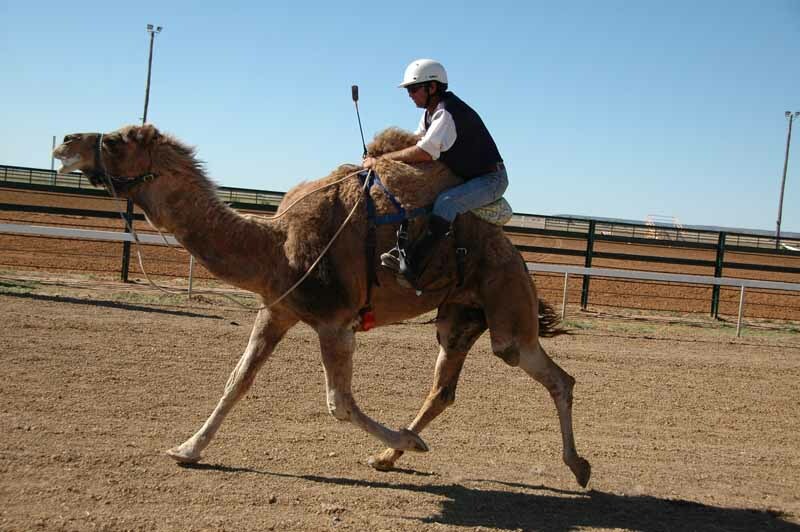 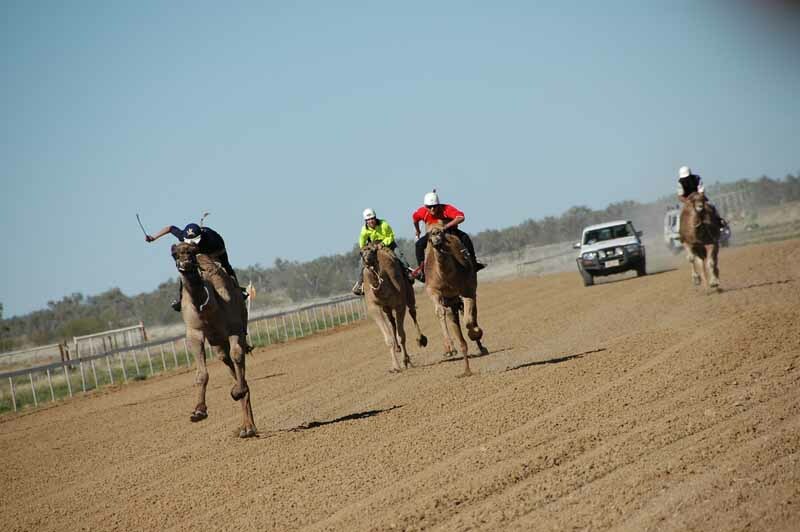 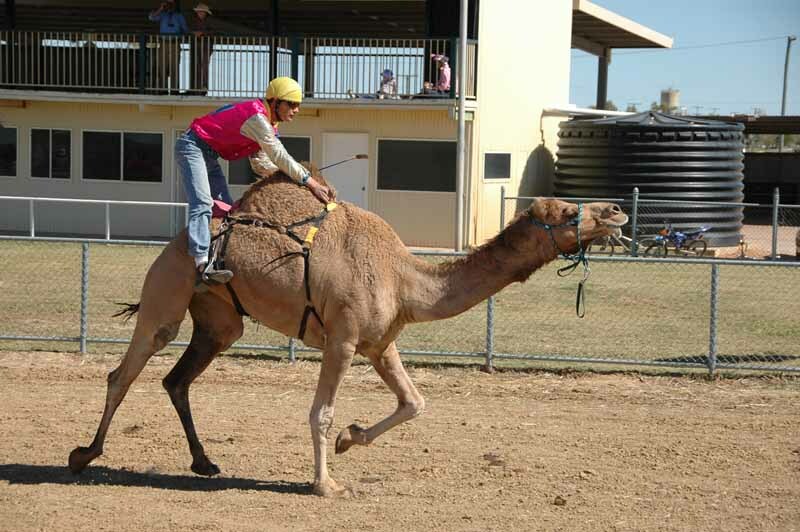 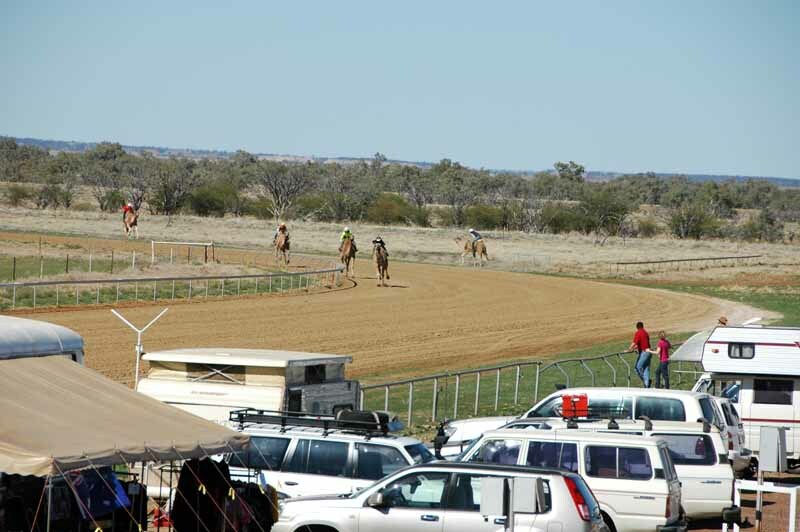 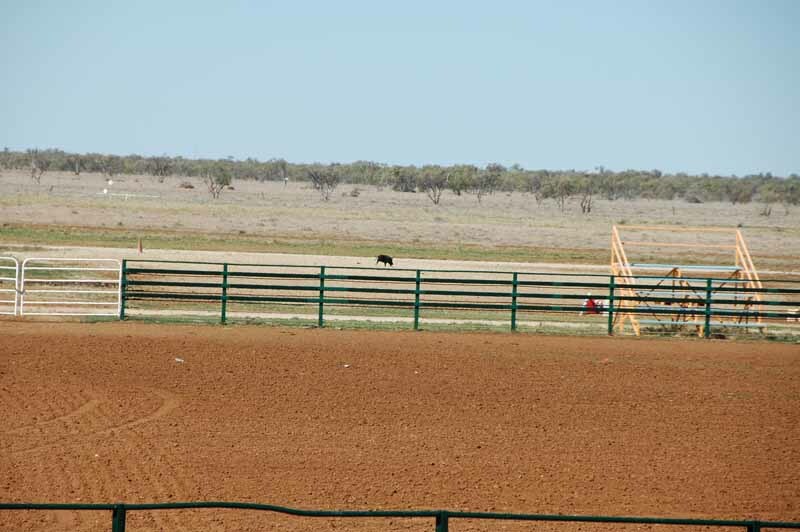 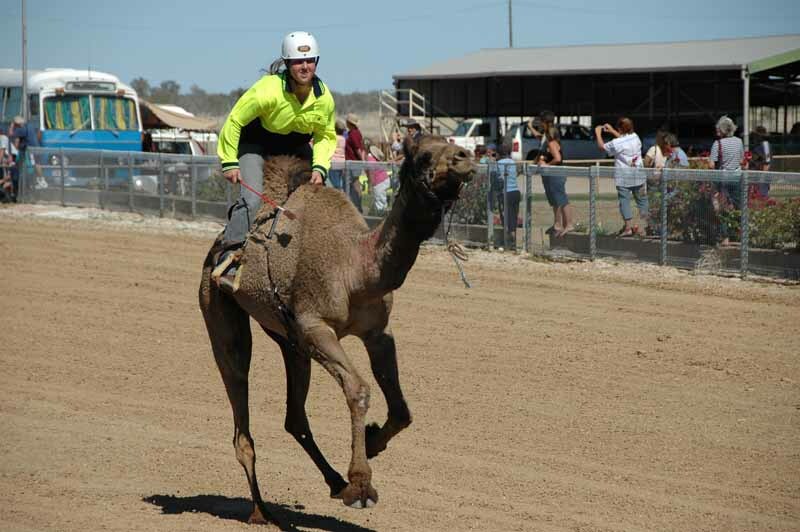 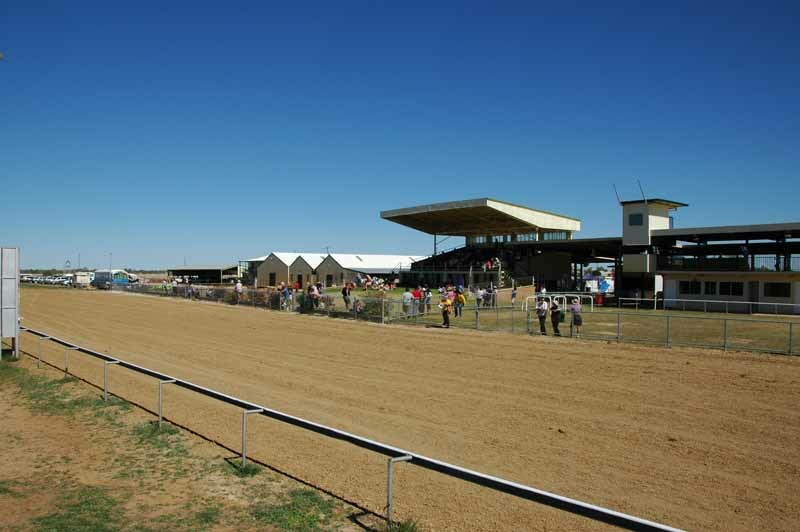 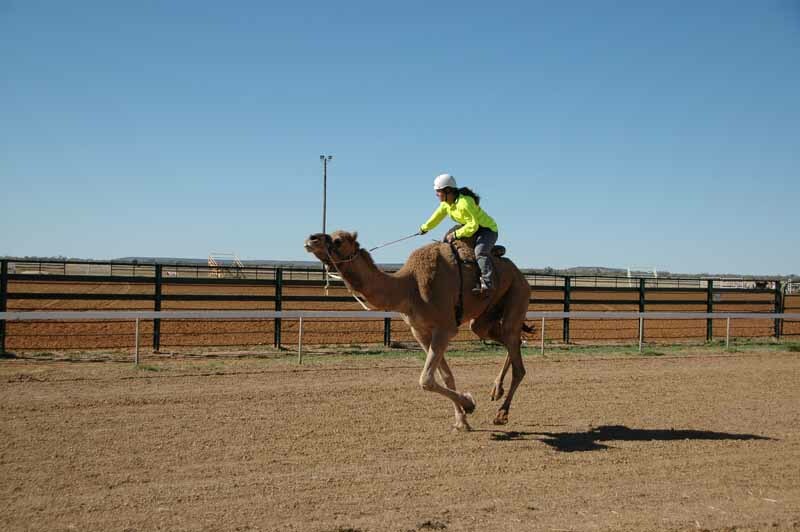 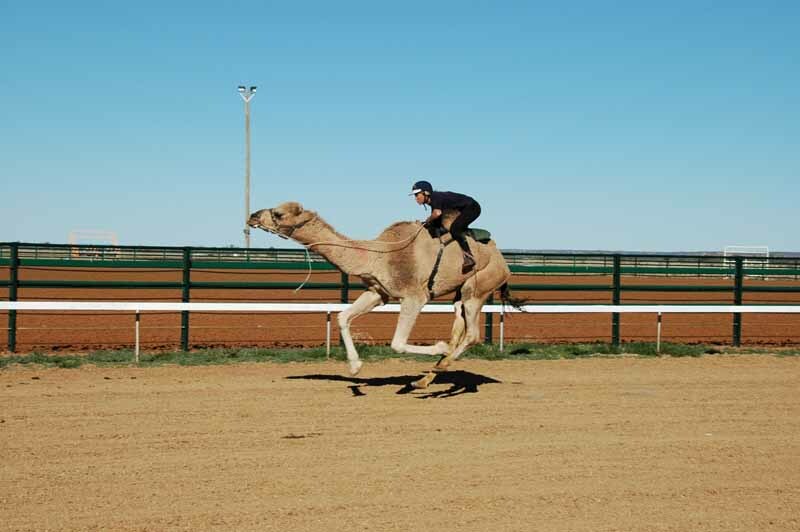 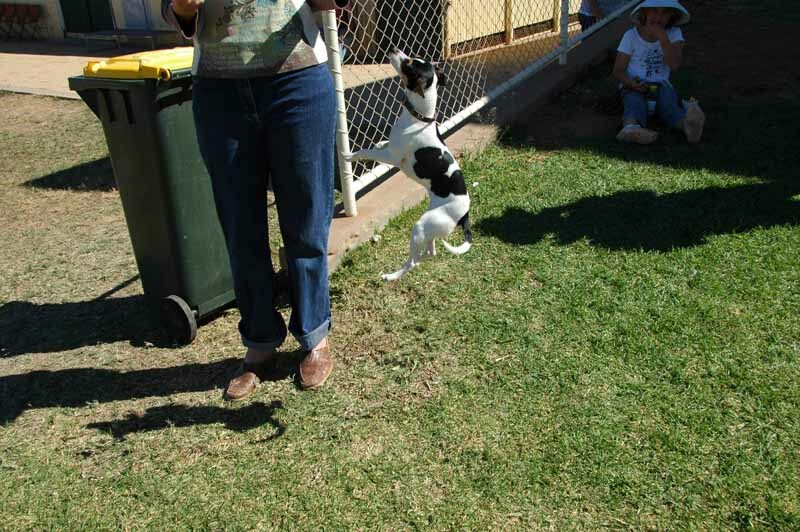 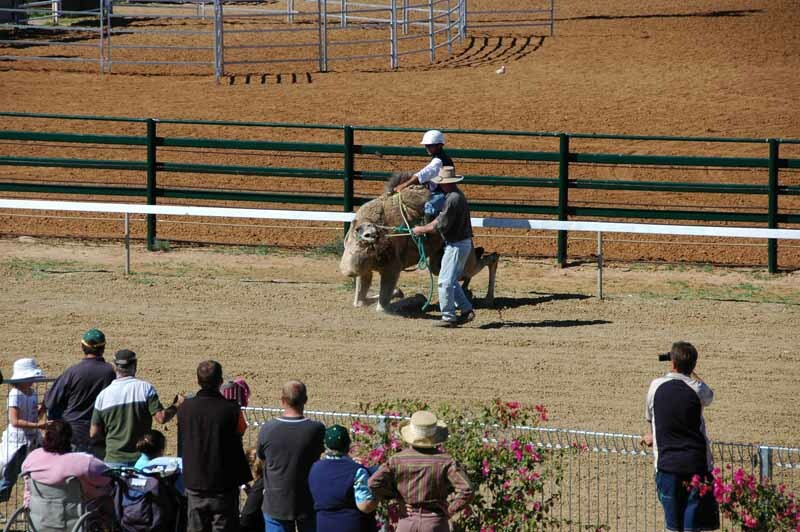 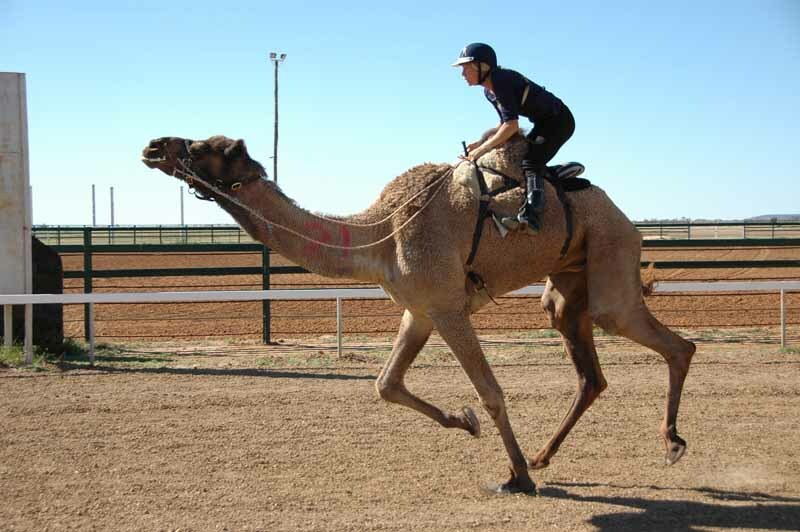 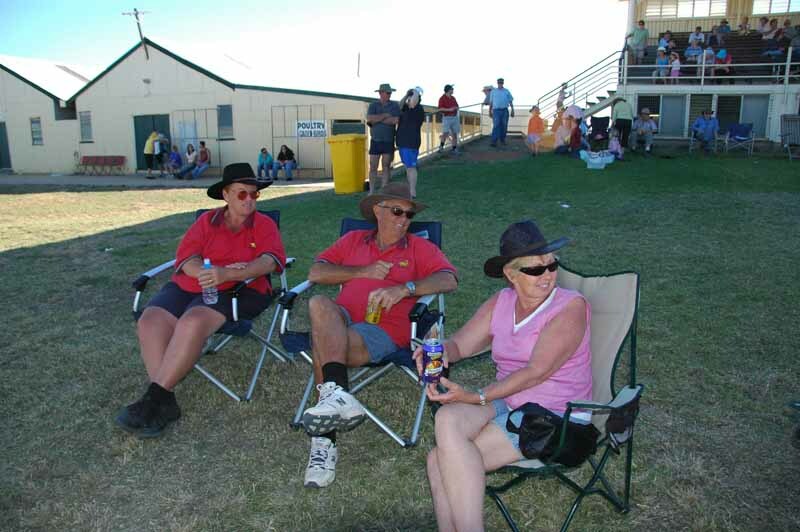 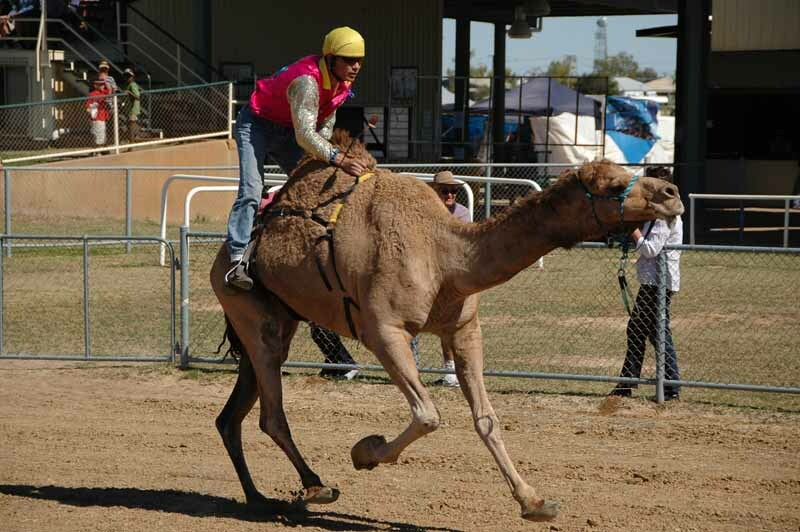 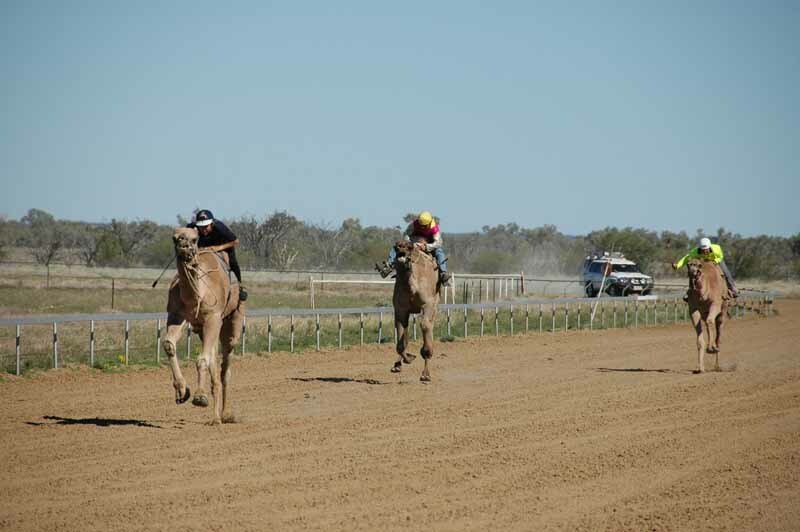 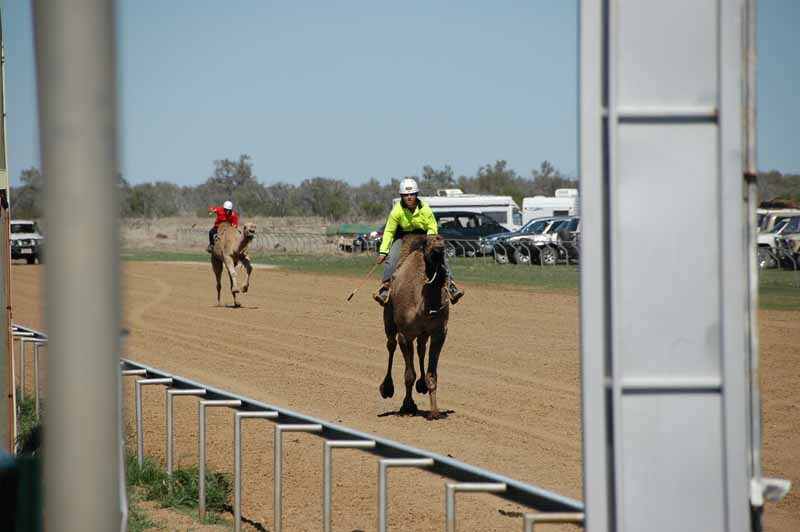 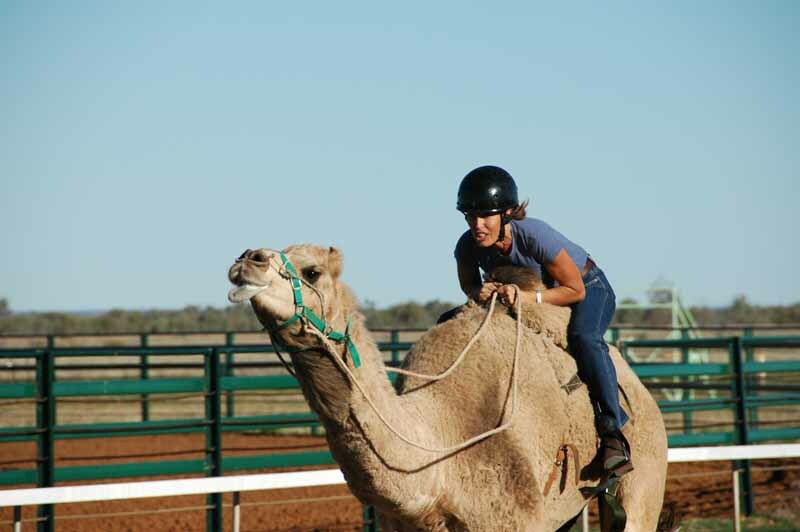 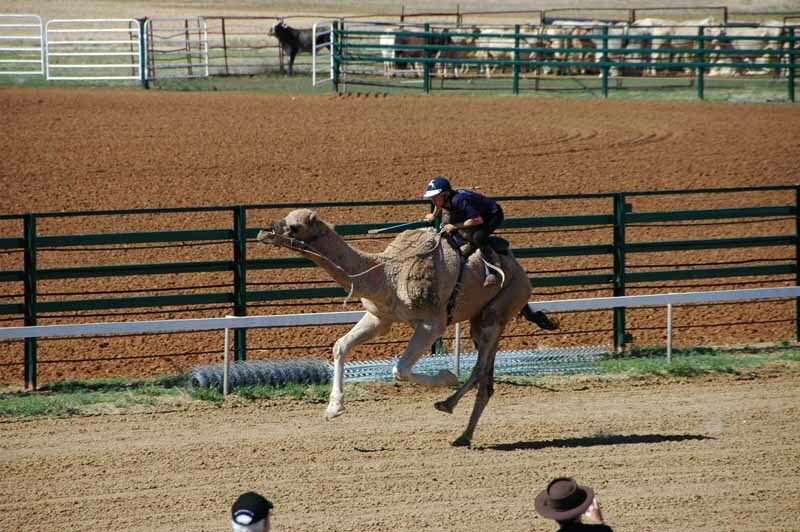 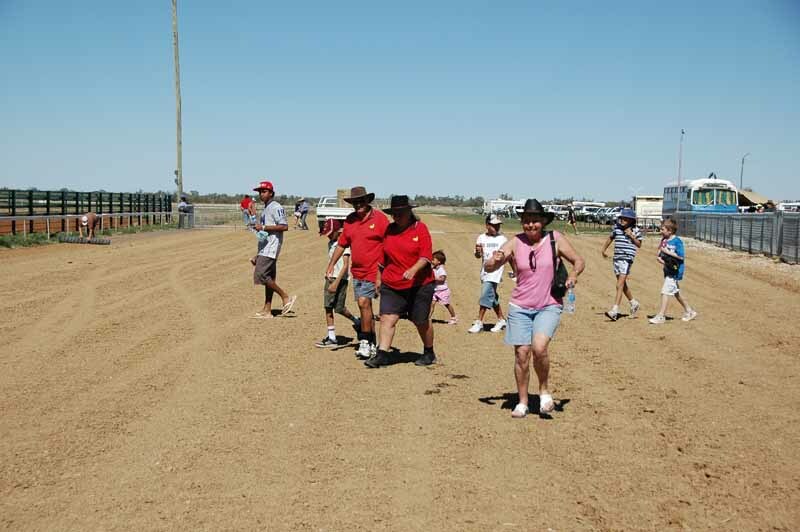 Today’s highlight was the Winton Camel Races, we went with Kerrie and Ron. 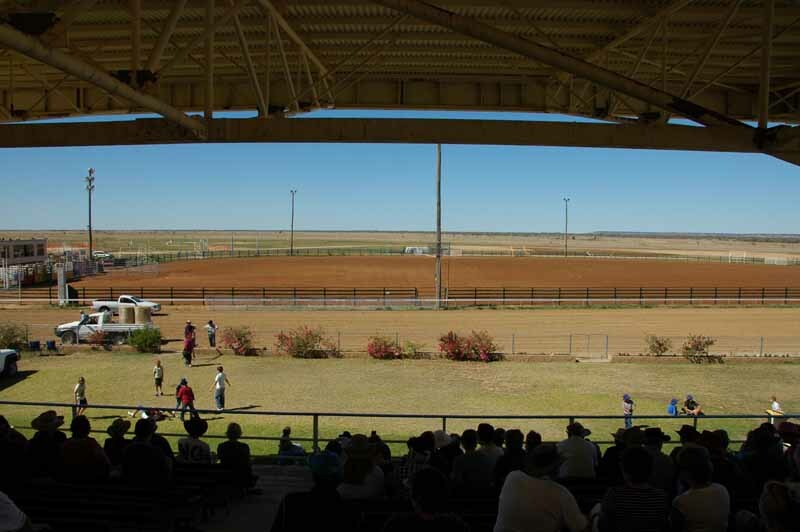 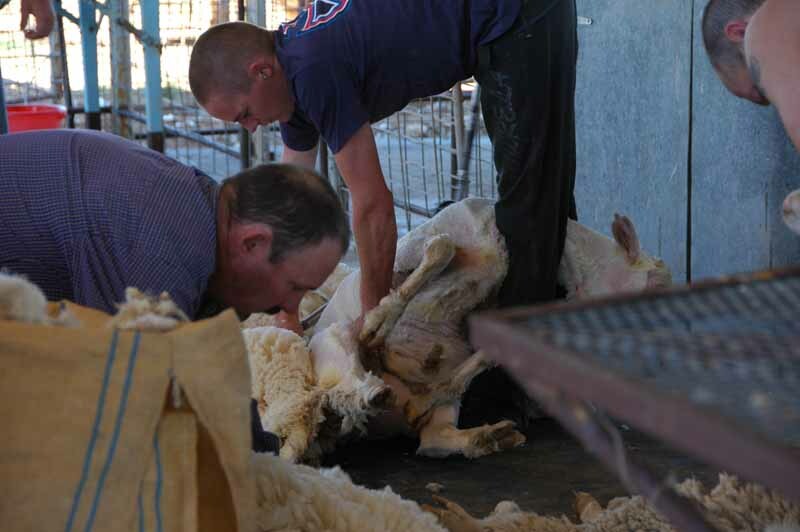 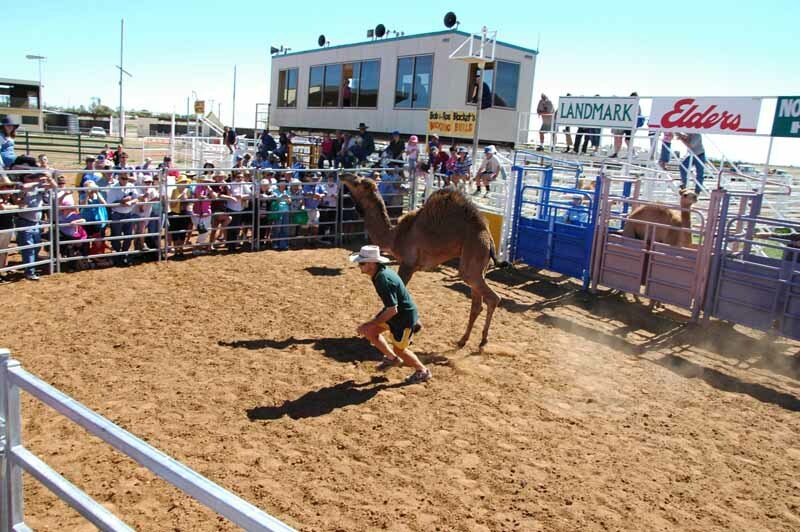 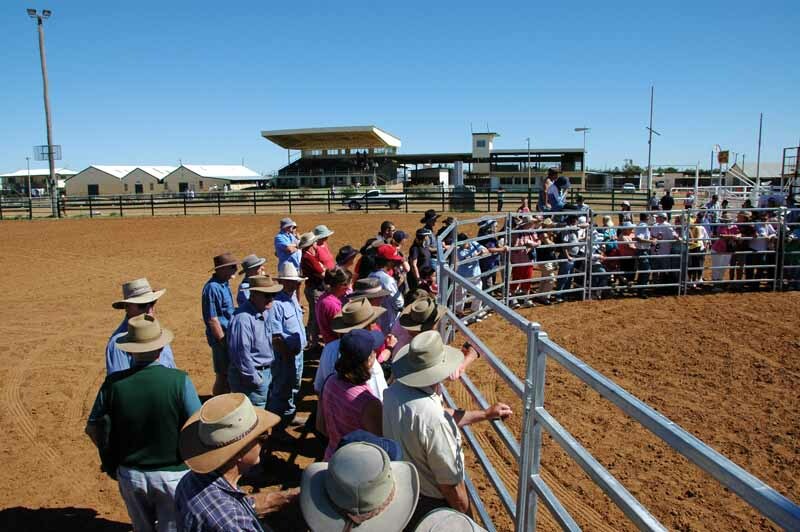 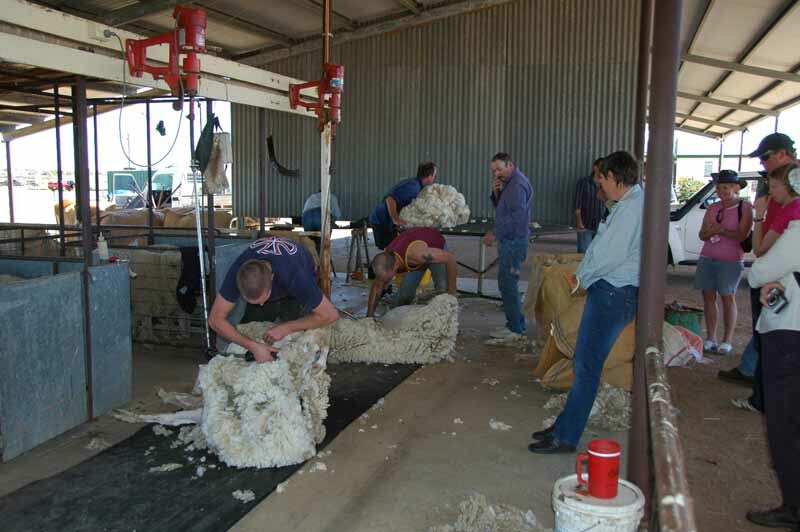 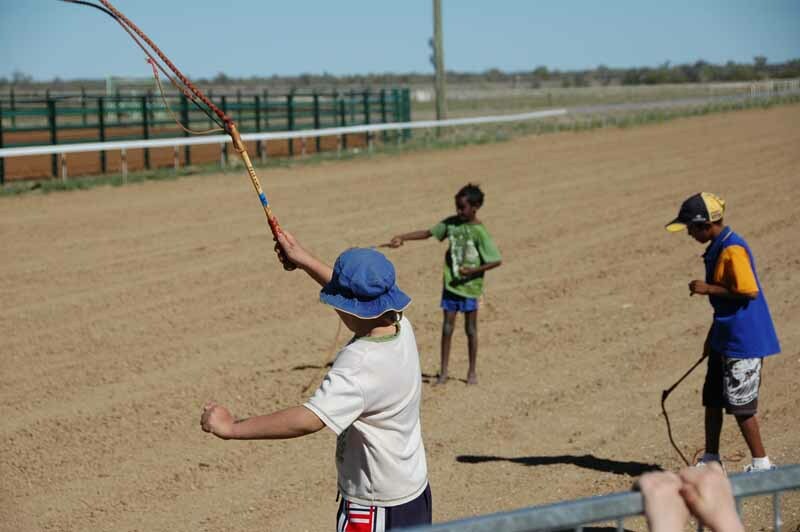 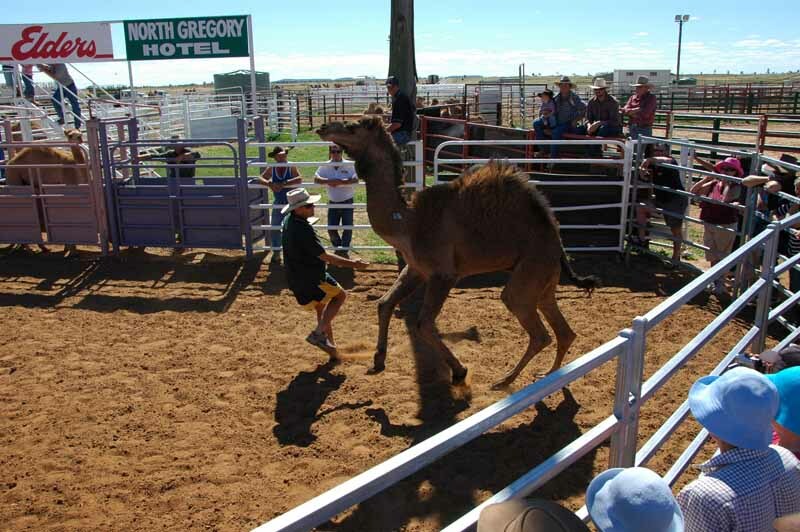 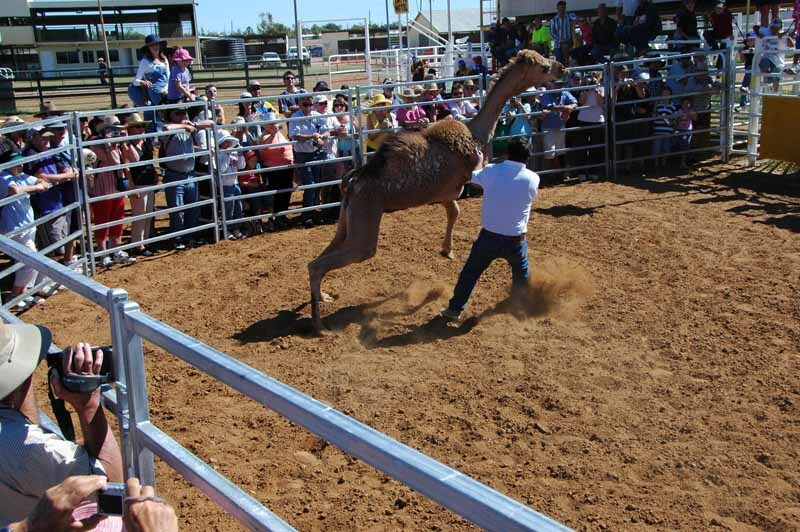 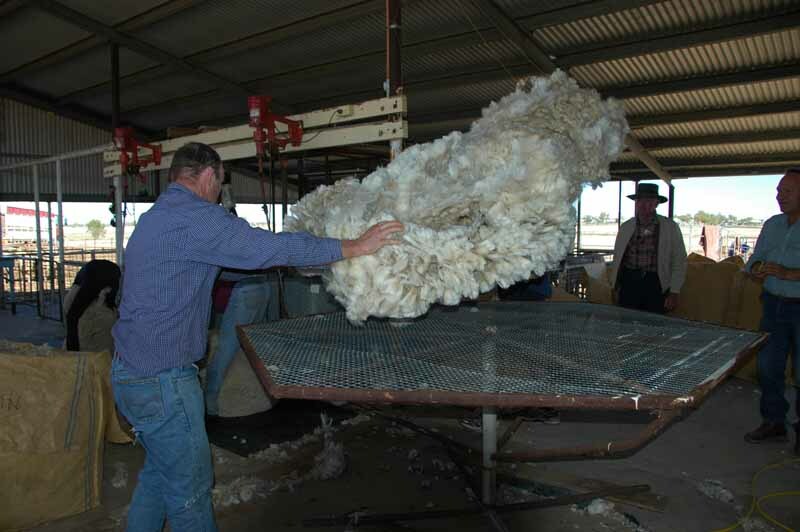 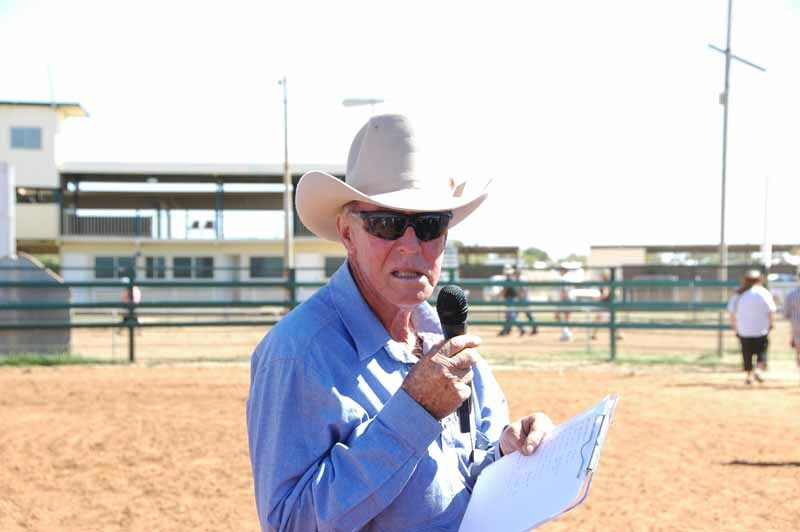 There were a number of events, eight camel races, a wild pig race, a celebrity race (the celebrities rode camels) some children’s event, running and whip cracking, a sheep shearing demonstration and a camel tagging competition. 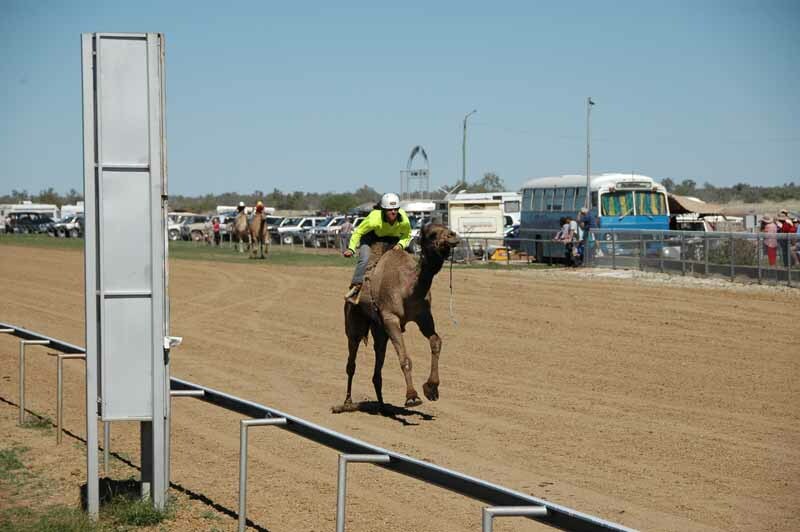 The camel races were amazing, some of the camels didn’t have reins, some decided to run the wrong way, some just lay down on the track; but when they got all their legs working they could really bolt along. 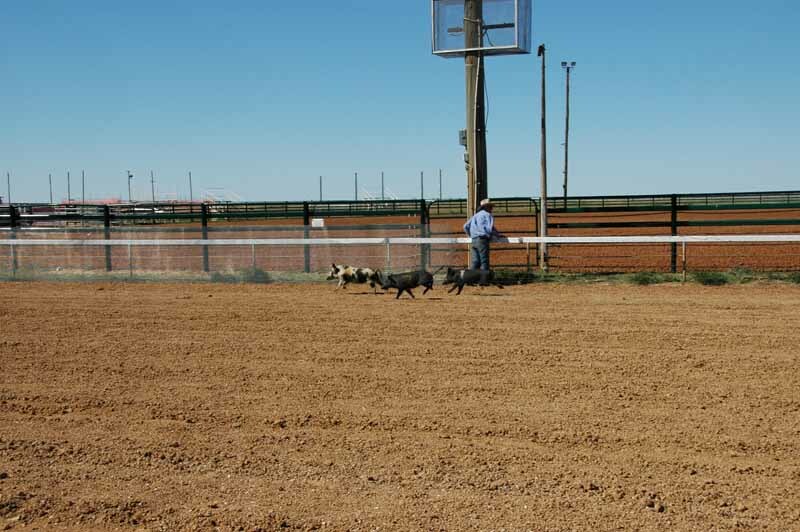 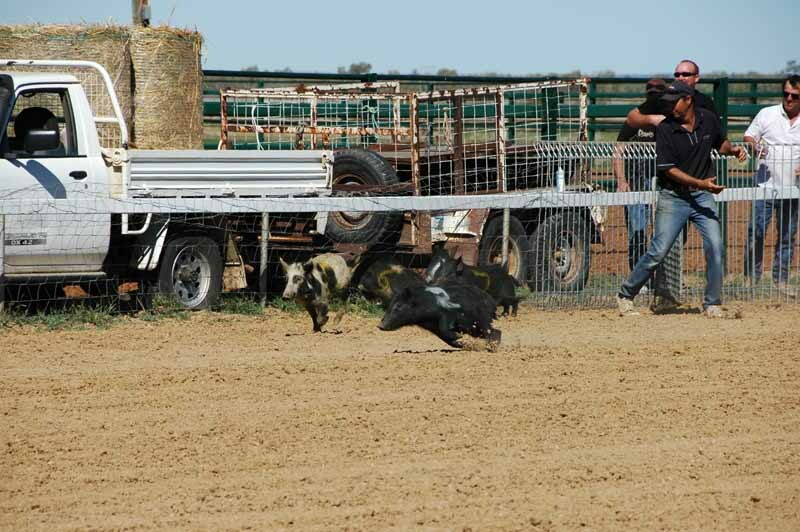 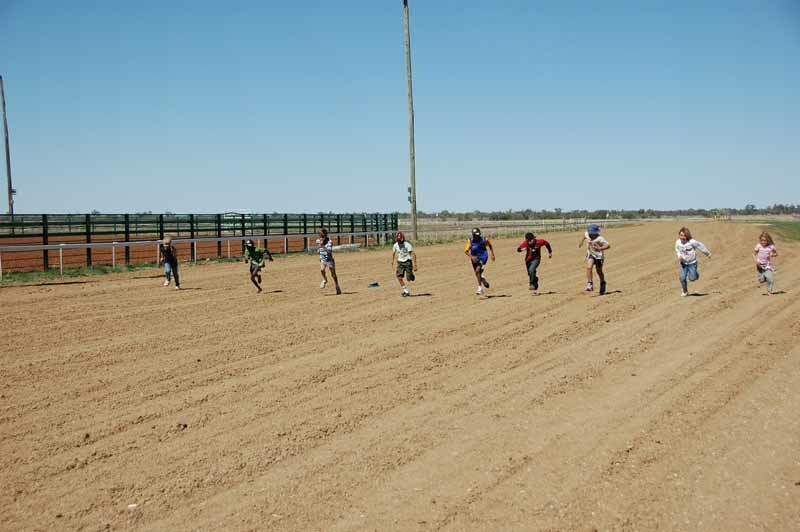 The wild pig race was a beauty, a number of small wild pigs had been caught that morning and with numbers painted on them were released down a fenced off section of the track. 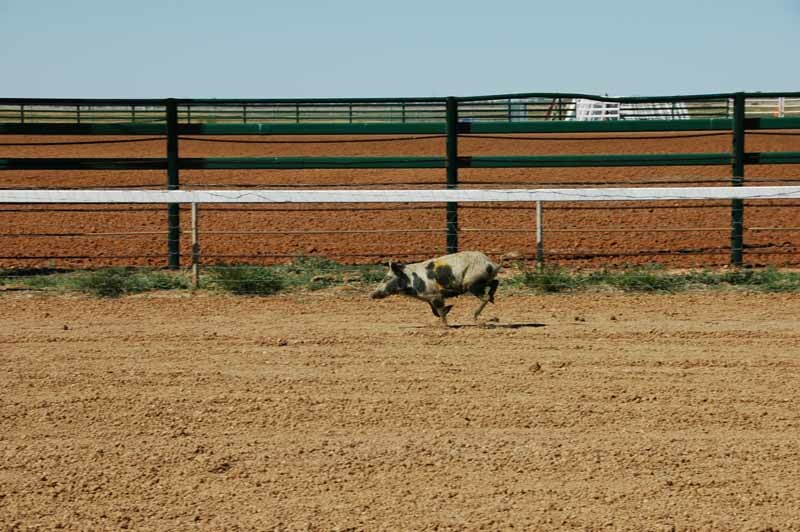 One pig immediately bolted out the back way the rest ran generally in the right direction but all escaped and could be seen heading off into the scrub. 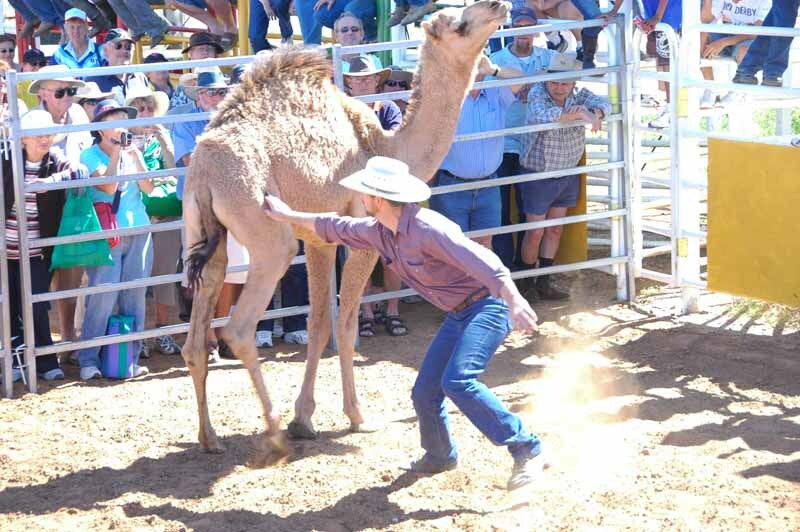 The object of the camel tagging event was obviously to tag a camel. 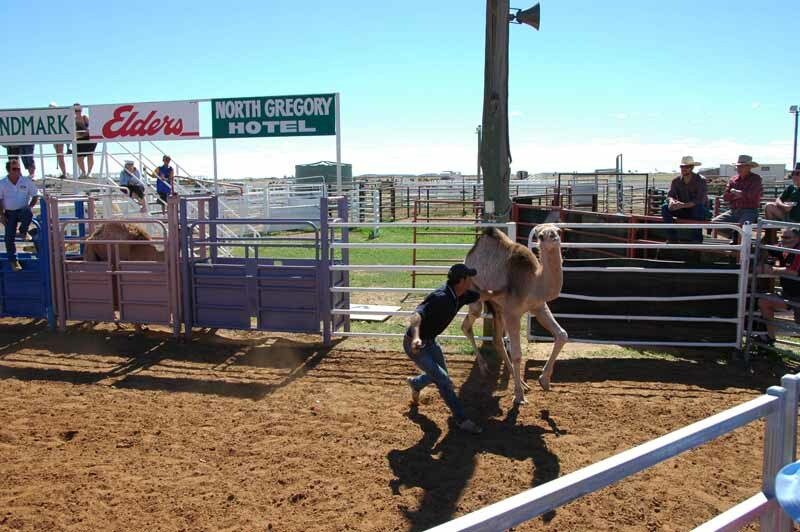 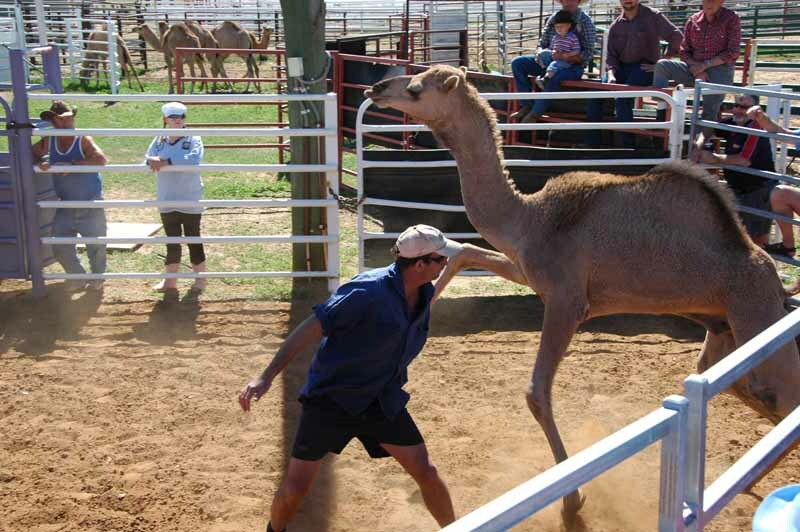 A camel was released into a corral and the contestant had to chase it and tag it with a piece of “gaffer” tape, he then had to run back the starting point before chasing the camel again to retrieve the “tag”. 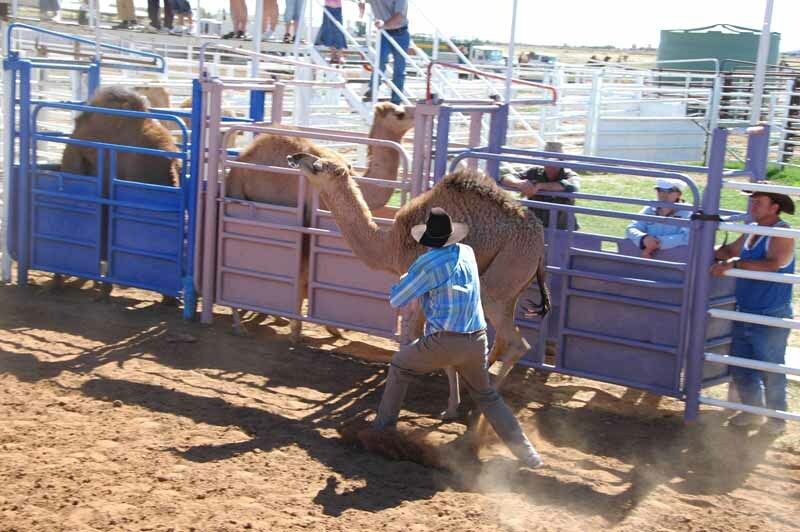 It was hilarious to watch, those camels can kick. 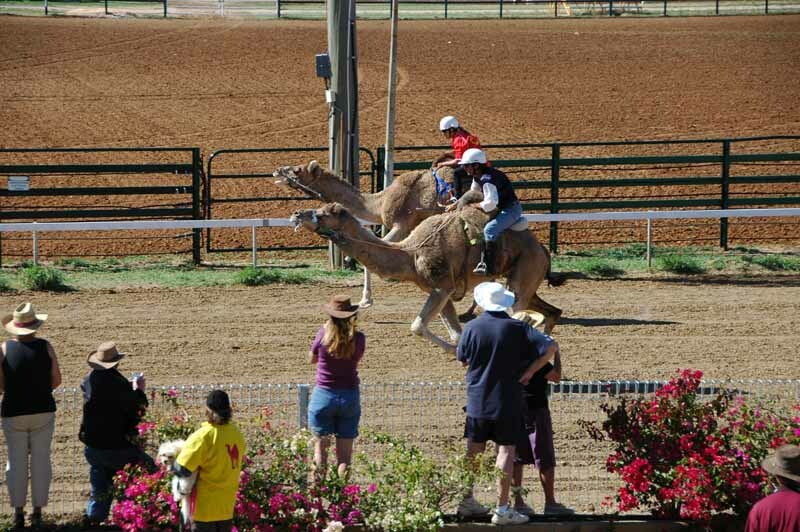 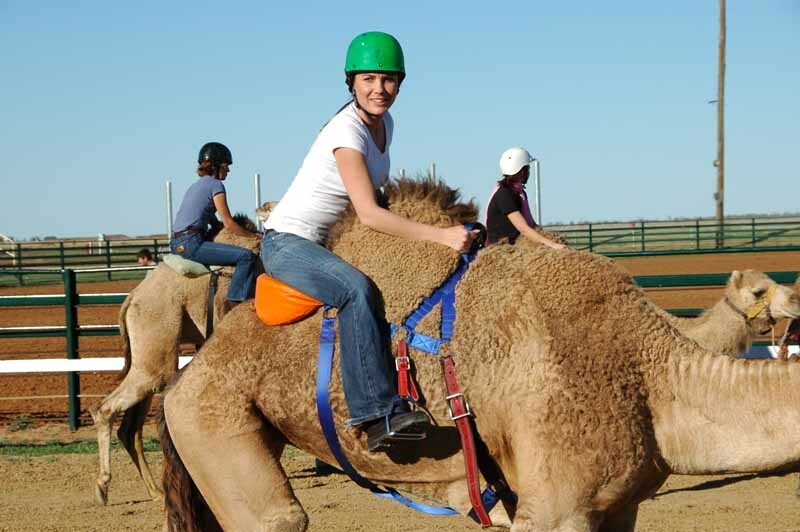 The celebrities actually did a sterling job in their race; they were allowed a shorter course with no corners as it requires a special skill to get the stupid things to turn (the camels not the celebrities). 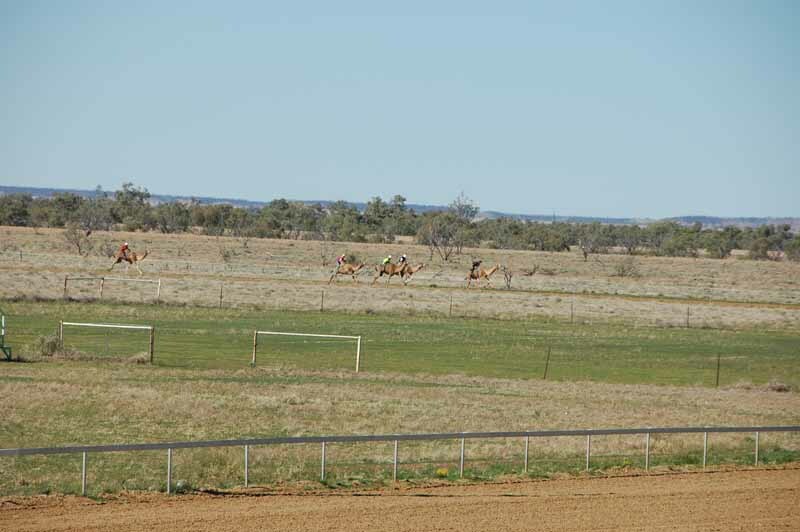 Pity there were no bookies there. 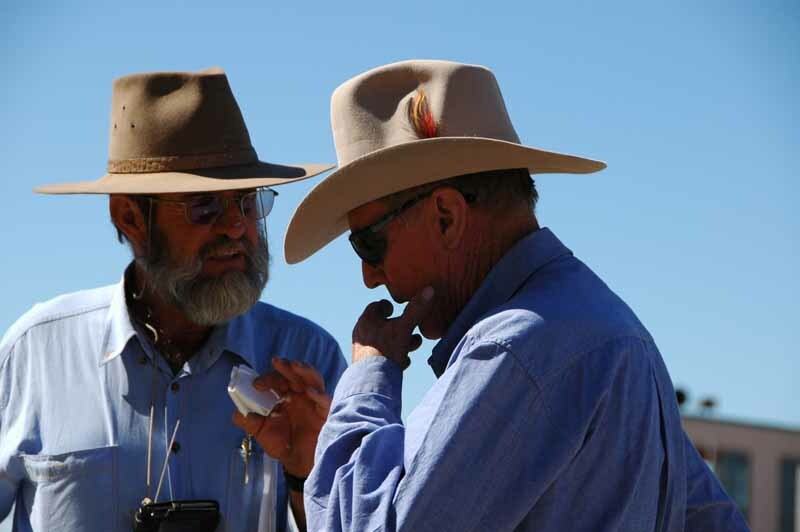 When we got back to the van, we found that after 3 days, the batteries were getting a little flat so we pulled the van round to a truck parking stop and fired up the generator for a couple of hours.